What continuing education do I need to renew my Massachusetts construction supervisor license? Where do I find courses to renew my Massachusetts construction supervisor license? 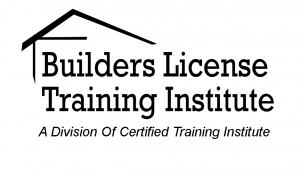 Builders License Training Institute offers Massachusetts approved continuing education. Courses are completed online, at your convenience, on any internet capable device. You may purchase courses at any point in your licensing cycle and have access to them until your expiration date or six months from purchase, whichever is longer. I missed the renewal date for my Massachusetts construction supervisor license, what do I do? You may not legally work until you have renewed your license. Licenses can be renewed for up to two years after expiration. Expired less than 2 years – You may renew your license by paying an additional $100 fee, meaning late renewals cost $200. Expired more than 2 years – You must retake the exam and apply for a new license. This entry was posted in Construction and tagged Massachusetts Renewal.